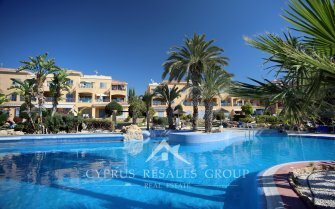 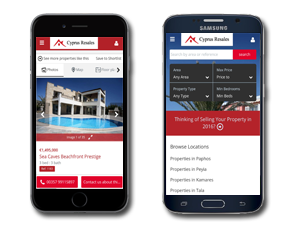 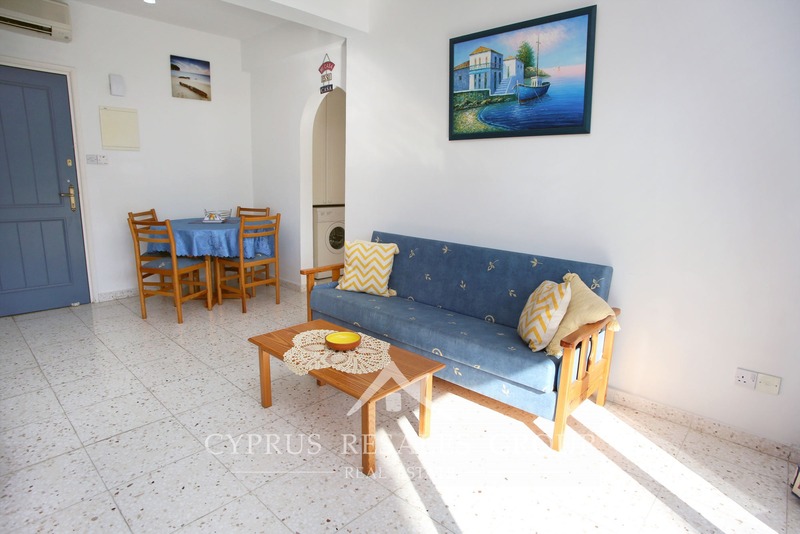 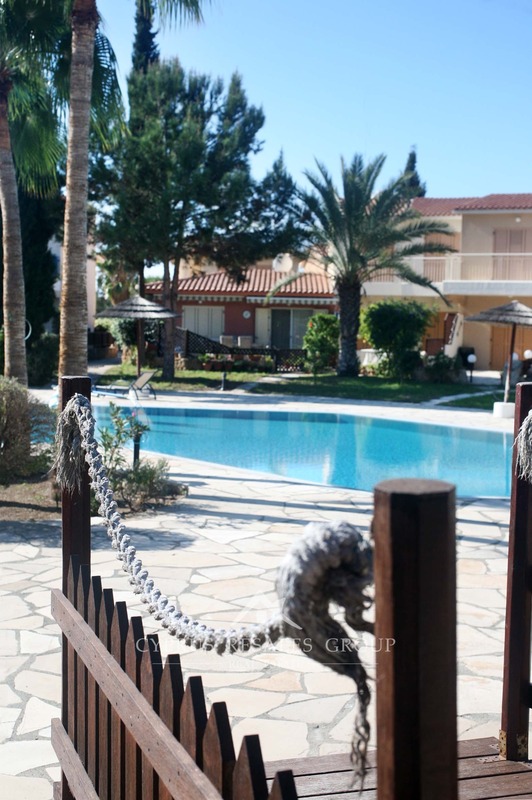 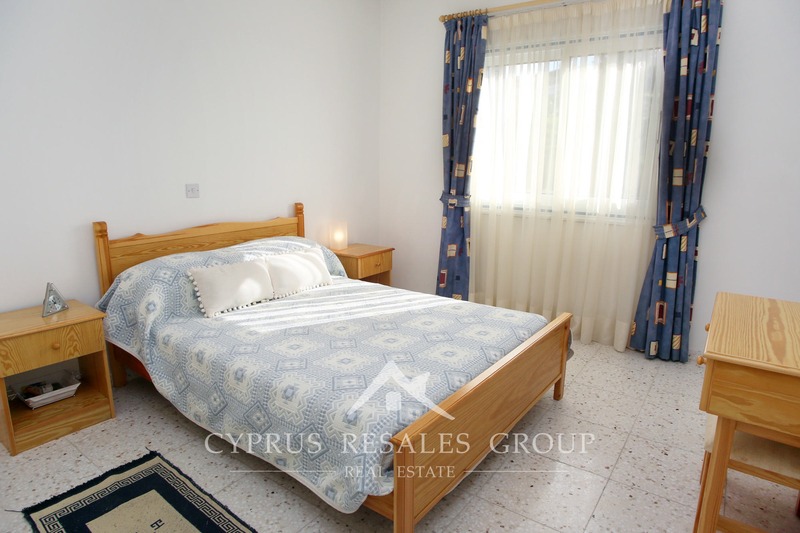 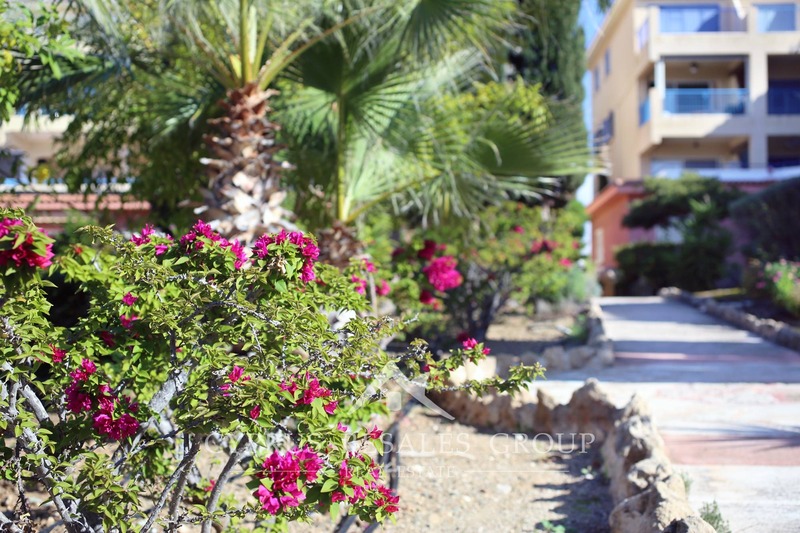 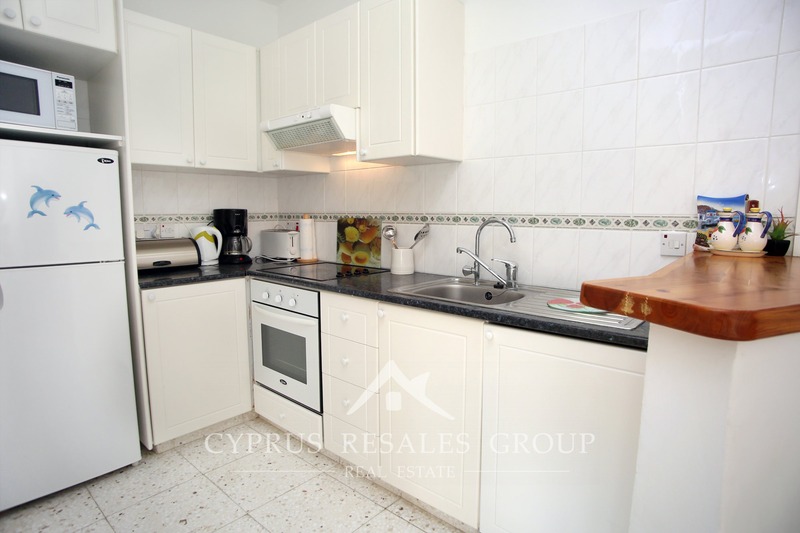 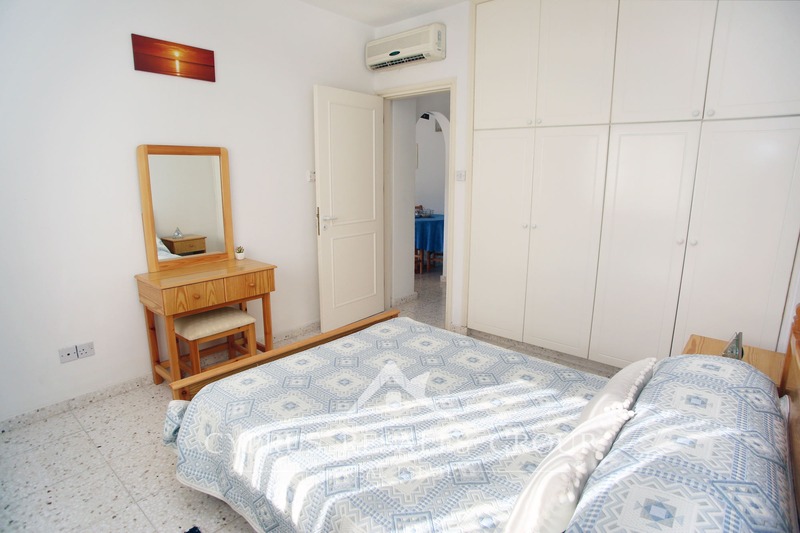 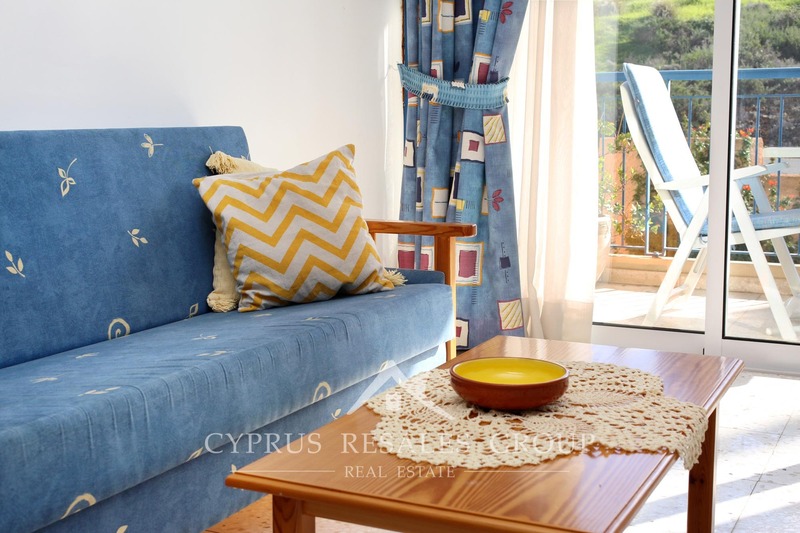 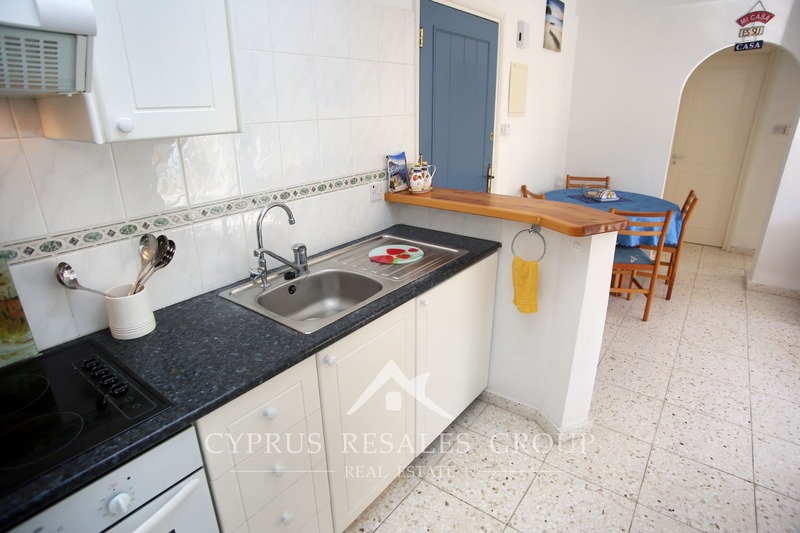 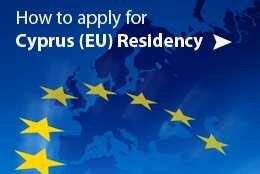 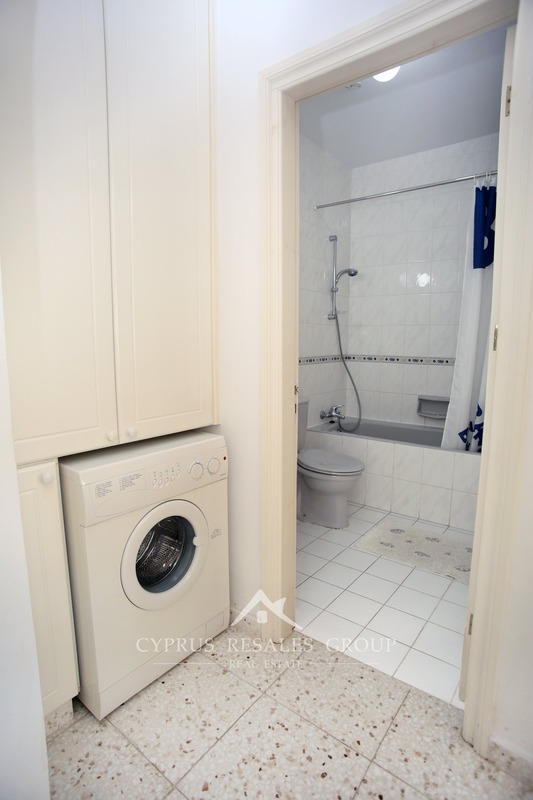 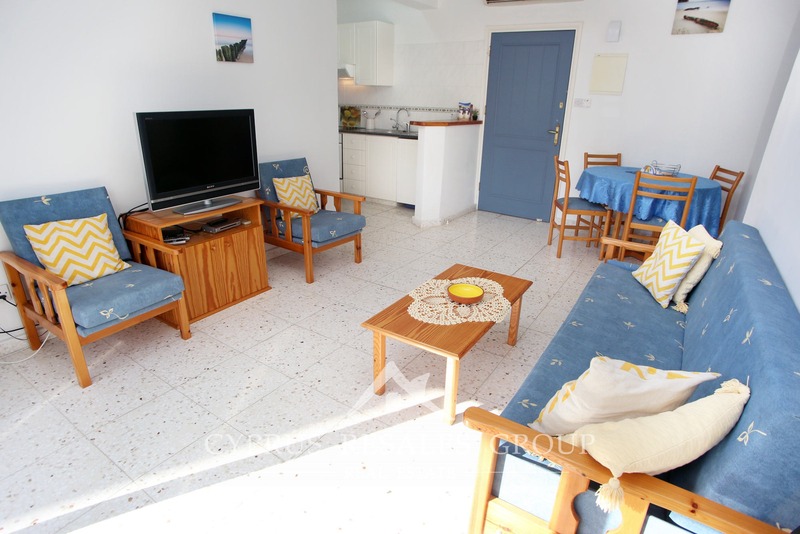 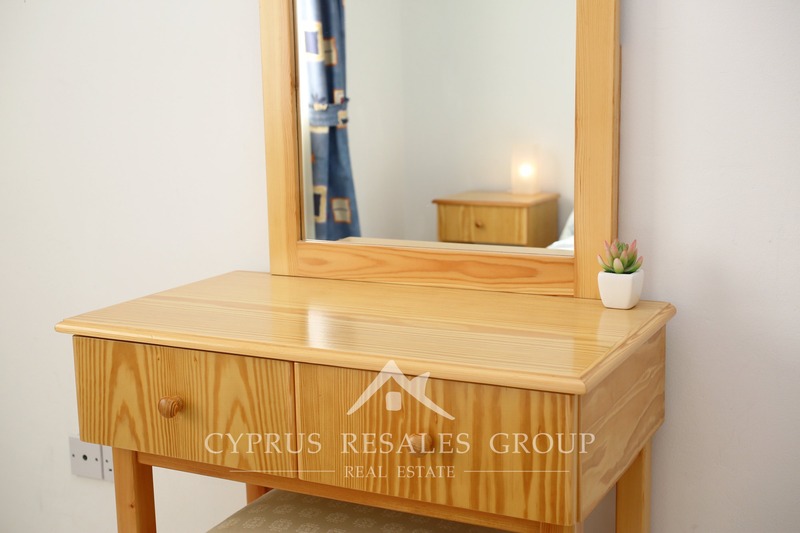 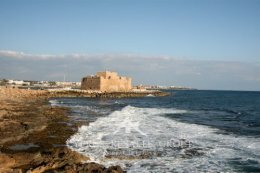 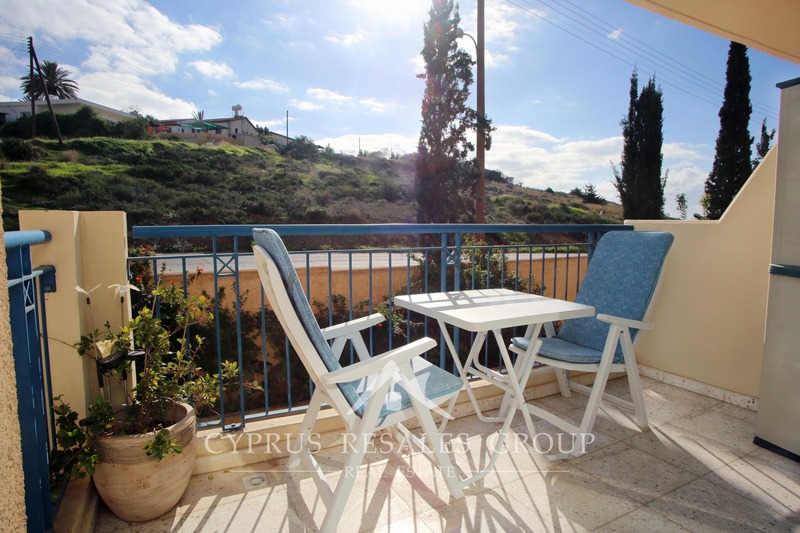 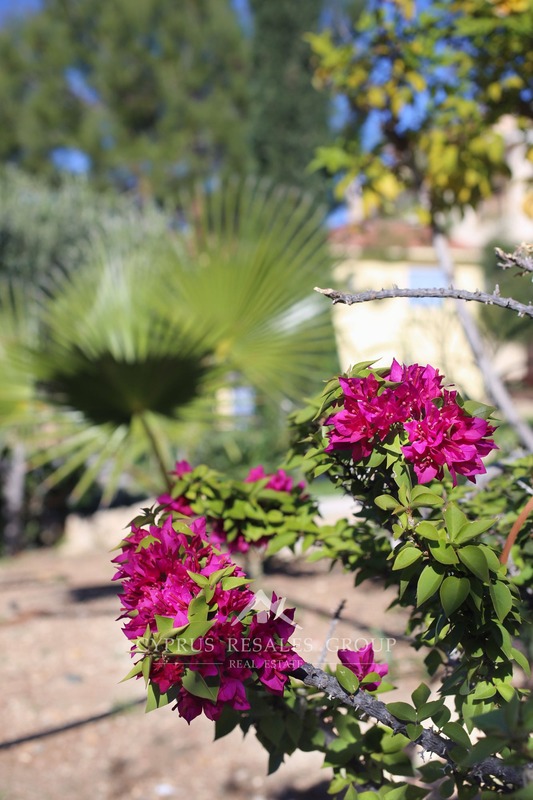 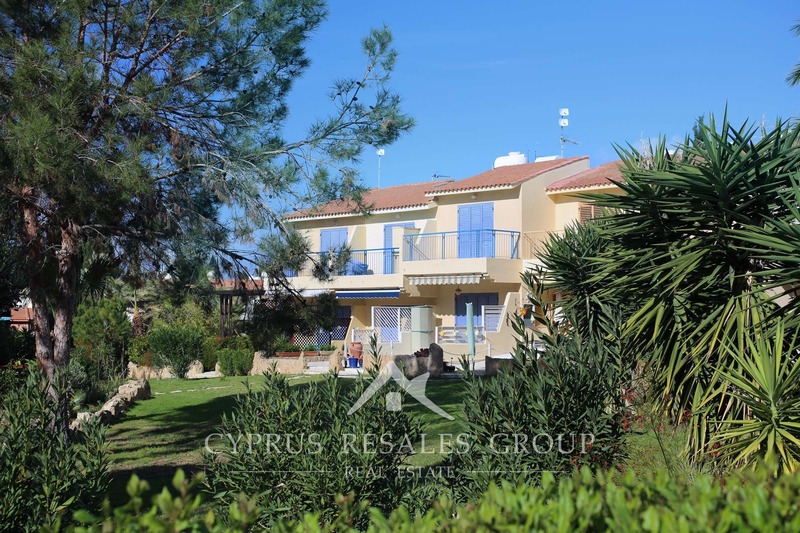 Property for sale in Regina Gardens 1 | 1 Bedroom resale flat in Leptos Regina Gardens I, Tombs of the Kings Ave.
Regina Gardens I - is a premier resort complex by Leptos Estates Developers in the coastal area of Kato Paphos. 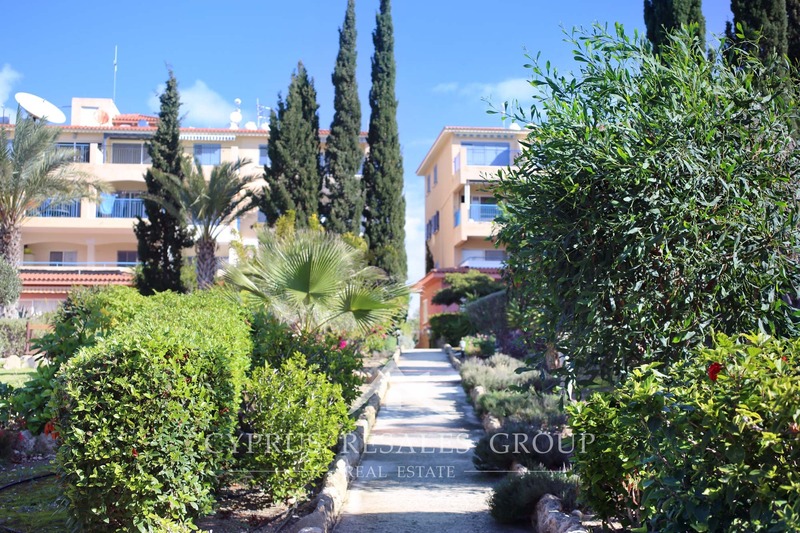 This beautiful residential project enjoys enviable location close to the ever popular Tomb of the Kings Avenue with all the shops, supermarkets and transport links you could need, including the Kings Avenue Mall. 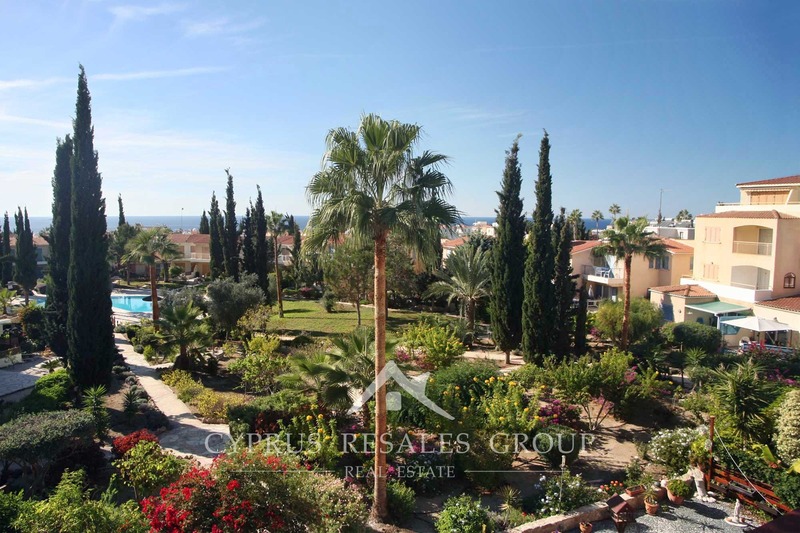 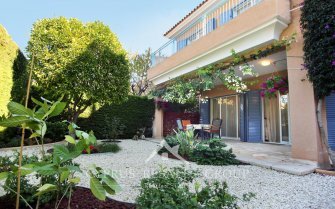 A lush prestigious development features immaculate landscaped gardens all centered around a feature swimming pool and a child’s pool with a large patio area. 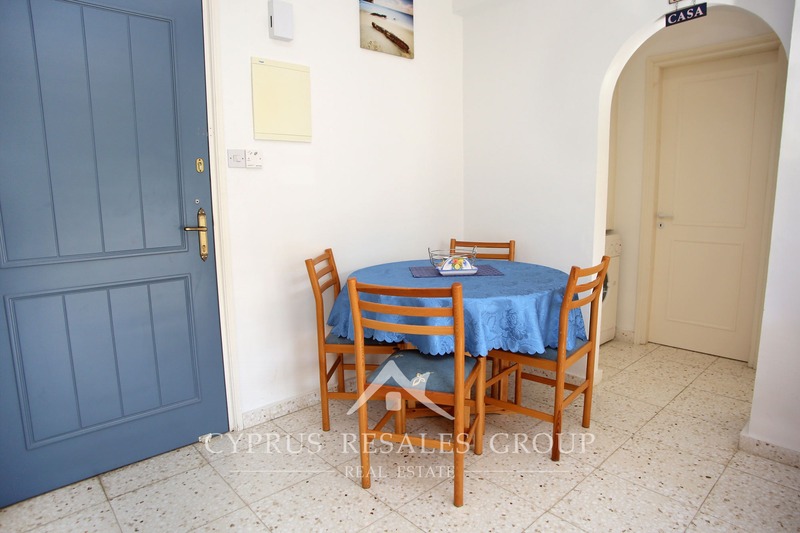 This 1st floor apartment (lift in the building) benefits a quiet southerly aspect. 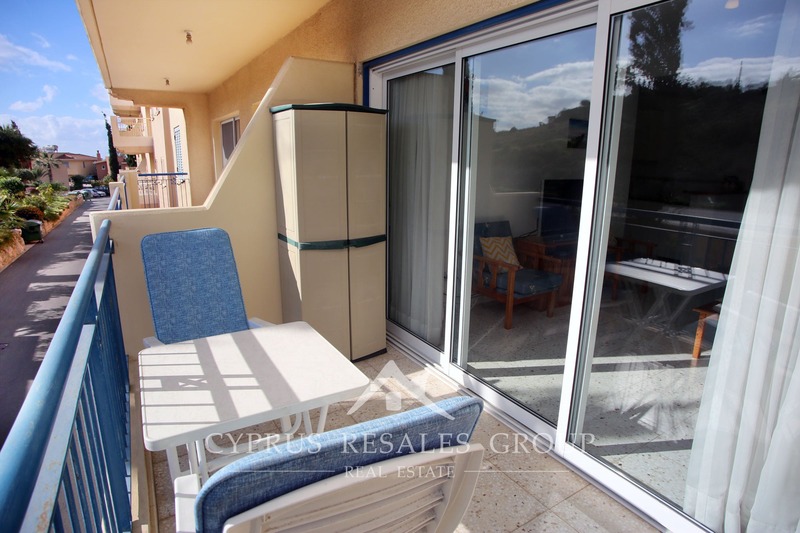 The bright and spacious living-room opens onto the covered veranda. 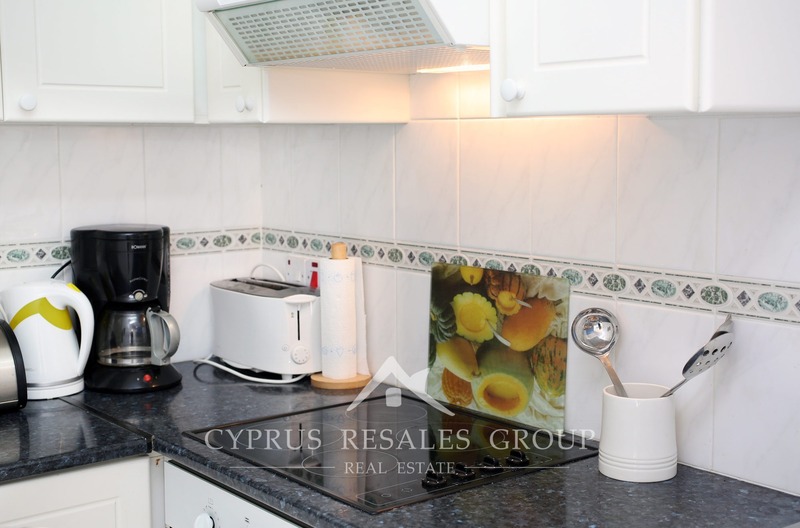 The functional kitchen is within an easy reach from the dining area. 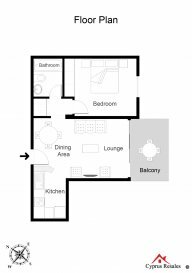 An elegant arch is separating the lounge from a small hall leading to the family sized bathroom and a well presented double bedroom with ample build in wardrobes. 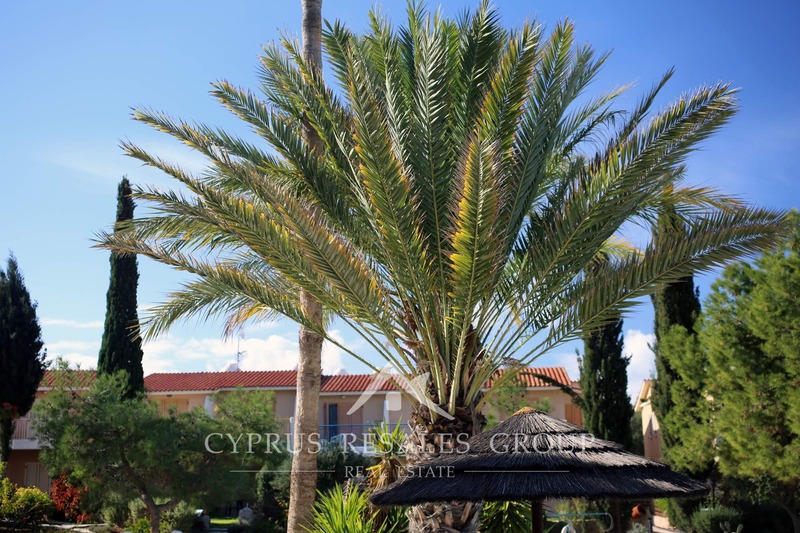 Have a gentle swim in the pool and watch the palms sway in the gentle breeze and then retire to your sunny veranda and sip a glass of wine or coffee. 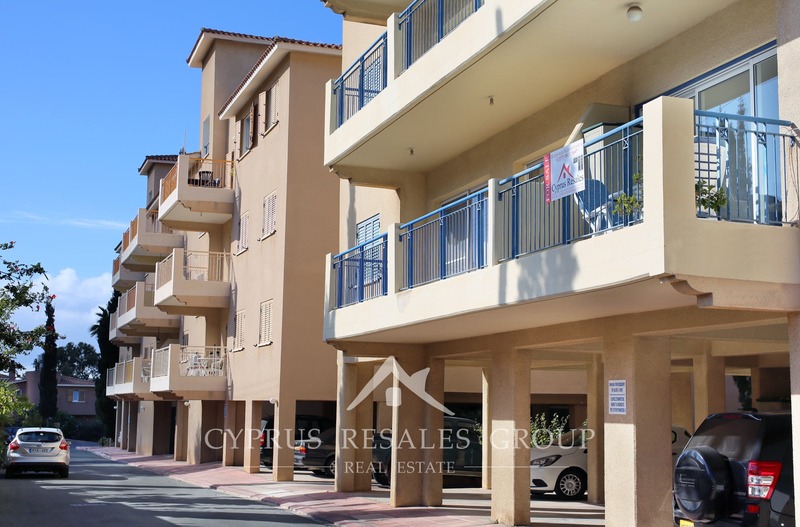 FULL TITLE DEEDS ensure both absolute ownership and security of investment in the desirable and sought-after Regina Gardens. 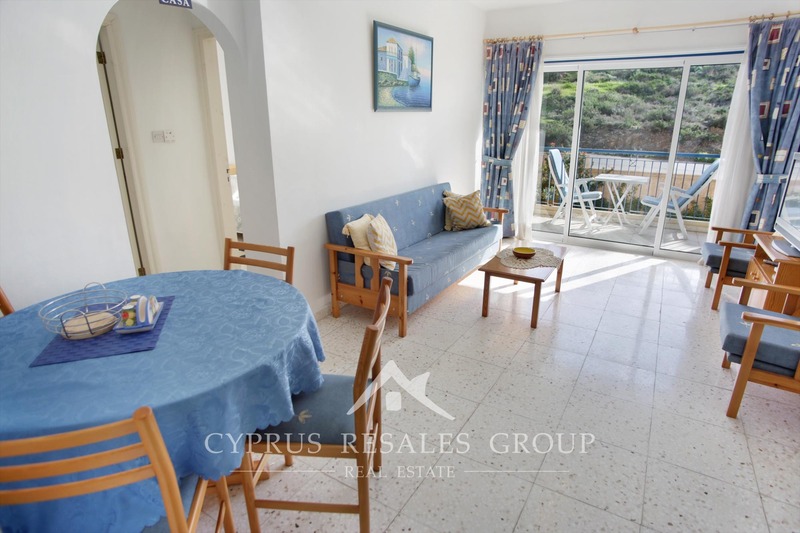 One bedroom flats are moving fast and this keenly priced example will be sold soon, so don’t delay in booking your viewing.